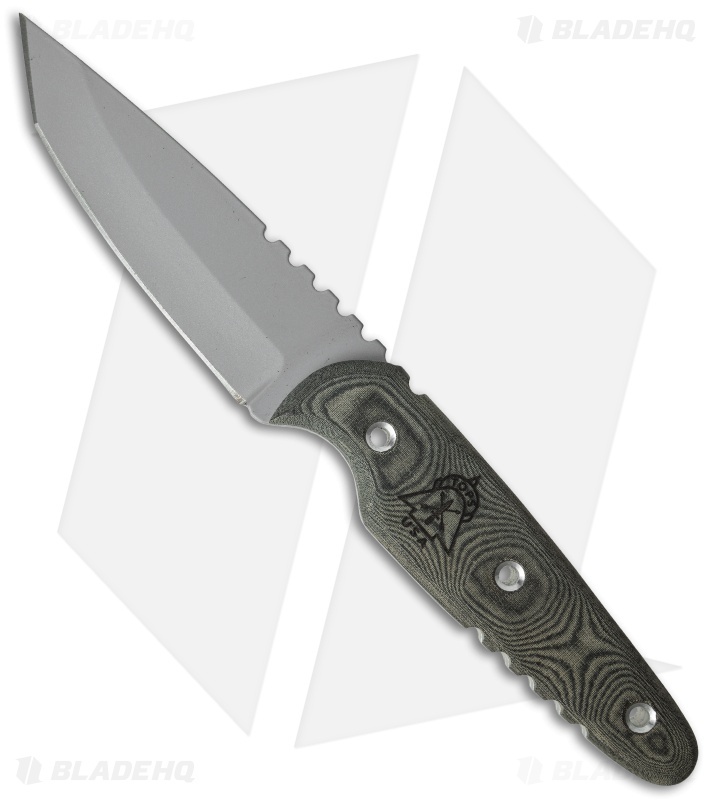 The UTE XL, or Utility Tool Edge, is a streamlined fixed blade knife with a 4.25" tactical gray coated 1095 steel tanto point blade. The full tang handle has tan linen Micarta scales with thumb notches up top and deep index finger groove below for what is a superb feel. 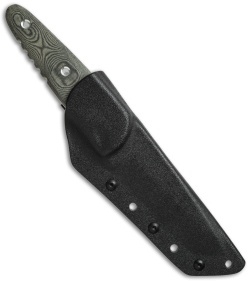 Includes a black Kydex sheath w/steel spring clip.